Thunder is a simple scripting language integrated with CoreCluster computing cloud. It allows you to automate your work at the infrastructure level. Once defined script could create whole virtual infrastructure - networks, disk images and virtual machines. The most important part is the booting part. 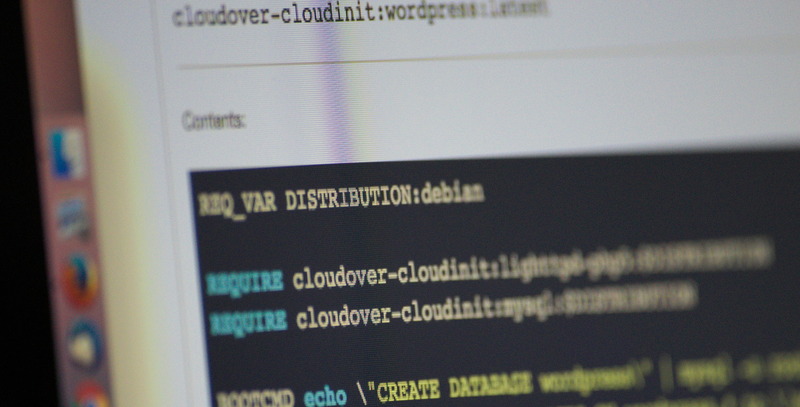 You could define startup scripts for your virtual machines supporting CloudInit mechenism. Thunder Scripts could be included and reused by other scripts. This makes it very elastic and simplifies creating new recipes. Both, CoreUI and CoreCluster have integrated modules for Thunder Script support. You can easily browse all scripts in web interface. Chosen scripts will be executed by cloud. This wil boosts cloud infrastructure management and simplifies all operations at the lower levels. Click here to browse all scripts which are ready to use on your private CoreCluster instance. If you don’t have one, follow the installation instructions. < Go back Author: Maciej Nabozny Published: July 19, 2016, 8:43 p.m.